When you purchase a rainwater tank, and have it plumbed into your house, the last thing you want are leaves or mosquitoes contaminating your tank water. Rainwater diverters can help to collect cleaner water in an efficient manner. They play an important role in filtering dirty rainwater that may otherwise enter your tank. It is important however to have a system of accessories in place. A mandatory accessory that plays a big role in ensuring tank water quality is a leaf strainer and cover. The strainer functions to stops leaves, mosquitoes, flies, and the occasional small creature from entering the tank. The strainer should also come with an accompanying lid to prevent small debris such as dirt from contaminating the water in water storage tanks. In some states you can be fined if your rainwater is not mosquito proof. It is therefore important to ensure that the aperture of your strainer, that is the holes in it, are narrow enough to prevent mosquitoes. Strainer sizes depend on the opening of your water tank, but diameters of 300mm to 450mm are usually suitable. Keep in mind that you want a strainer that is made of stainless steel mesh and food contact-approved. A good strainer should also be designed with depth to reduce the risk of water overflowing. 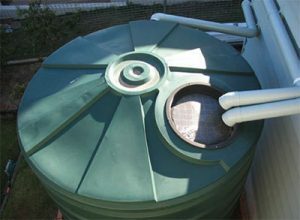 If you have any concerns over mosquito-proofing your water tank contact us on 1800 642 055.